Fue un placer encontrarlos en Tlaquepaque y conversar tan amenamente de arte, tecnología y tequila. Les envió en un documento adjunto, la información sobre la exposición que se transmitirá en vivo por Internet. Posteriormente todas las intervenciones de los artistas se integrarán en un sitio en Internet donde se podrán ver individualmente, la cual les haré llegar en su momento. (Brooklyn, Miami, Houston)- Low Lives is a one-night exhibition of live performance-based works transmitted via the internet and projected in real time at three venues throughout the U.S.-- FiveMyles, Brooklyn; Diaspora Vibe Gallery, Miami; and labotanica, Houston in partnership with Project Row Houses (5 – 8 pm in Houston). Low Lives examines works that explore the potential of performance practice presented live through online broadcasting networks. These networks, though seldom utilized for performance art, provide a new alternative and efficient medium for presenting and viewing performances. 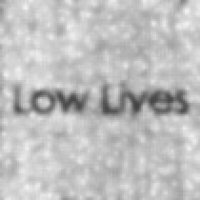 Curated by Brooklyn-based artist and curator, Jorge Rojas, Low Lives embraces works with a lo-fi aesthetic such as low pixel image and sound quality, contributing to a raw, DIY and sometimes voyeuristic quality in the transmission and reception of the work. The artists and artist collectives participating in this exhibition will transmit their performances from countries including Argentina, Austria, Canada, England, France, Germany, Macedonia, Mexico, United States, Vietnam and Wales. “Low Lives is about not simply the presentation of performative gestures at a particular place and time but also about the transmission of these moments and what gets lost, conveyed, blurred, and reconfigured when utilizing this medium,” states Curator Jorge Rojas. Rojas, whose artwork has increasingly involved performative elements, proposed this exhibition to FiveMyles, Diaspora Vibe Gallery, and labotanica because of their commitment to experimental art and framing local and international art-making. Artists include Abby Donovan; Adam Trowbridge; Amanda Alfieri; Bishop Bishop; Carlos Rodal; Carol & Jonas Pereira-Olson; Carolina Vasquez & Bethan Marlow; Caroline Boileau; Danielle Abrams; Denise Prince; Eden Mazer & Rachel Frank; ErikAndTheAnimals; Eseohe Arhebamen / edoheart; Flounder Lee; Franko B; Fred Koenig; Genevieve Erin O'Brien; Igor Josifov; Inge Hoonte & Michelle Tupko; Javier A. Lara, Rose DiSalvo, Chris; Jeanne Jo; Joe Nanashe; Johanna Reich; Kelly Kleinschrodt; Kenya (Robinson); Mark L. Stafford; Profesor Bazuco; Robert Crosse; Rosamond S. King; Rotliebend: Johanna Bruckner & Melissa Steckbauer; Sergio Lamanna; Y. E. Torres (ms.YET) & Sandy Ewen. For additional information on this exhibition, please contact Curator, Jorge Rojas . High resolution photos available upon request. FiveMyles, 558 St. Johns Place, Brooklyn, NY; Diaspora Vibe Gallery, 3938 North Miami Ave, Miami, FL; and labotanica in partnership with Project Row Houses, 2521 Holman, Houston, TX.